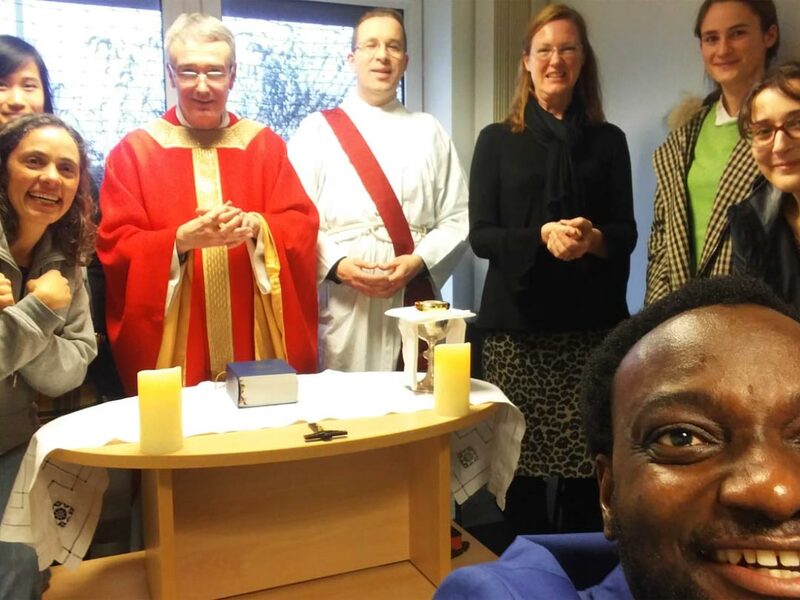 Father Dominic celebrated Mass on the Bournemouth University and Arts University campus on Monday 21 January at the Chaplaincy centre in the Talbot Building, where he was joined by Sister Marta, Brother Andrew and members of the University Catholic community. There will be Mass at the Chaplaincy at 4pm on the next three Mondays: 28 January, 4 February and 11 February. Students, staff and friends of the University are warmly invited to join us. If you know other Catholics at the University, please bring them along.